The island would feature a safe area with no PvP combat (marked in blue on the map above) where you can loot weapons and items to prepare for fighting in the combat zone. Once you leave the safe zone, you are unable to return until you die. 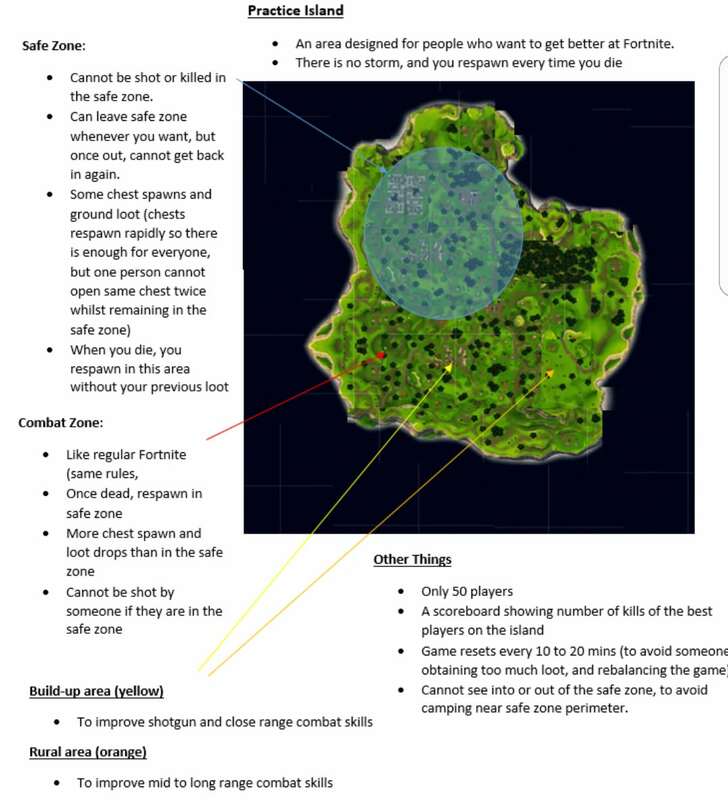 Anything outside of the safe zone would be a combat zone, featuring gameplay and gunfights very similar to Battle Royale, with more chest spawns to give you an opportunity to restock between kills. Once dead, you would respawn in the safe zone. 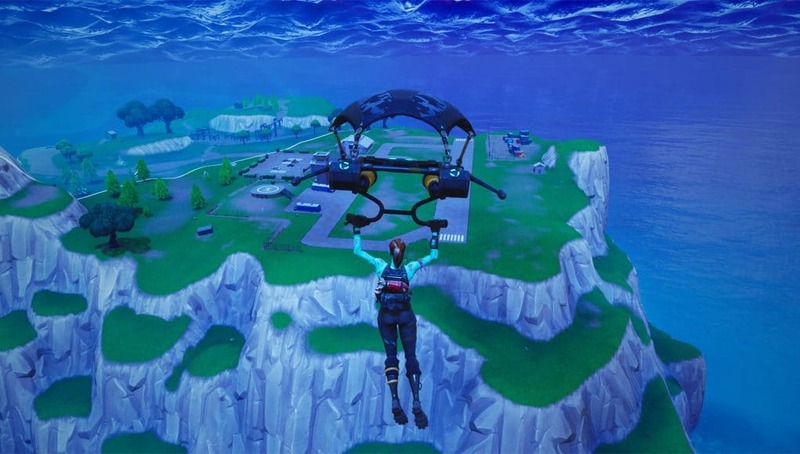 With the small scale of the island in mind, it would only feature 50 players and a reset would occur every so often to prevent certain players obtaining too much loot. Though Epic hasn’t commented on the idea of a practice mode, it has been a highly requested feature on the subreddit since the game’s launch and they have a tendency of listening to community feedback – maybe we’ll see it at some point in the future!